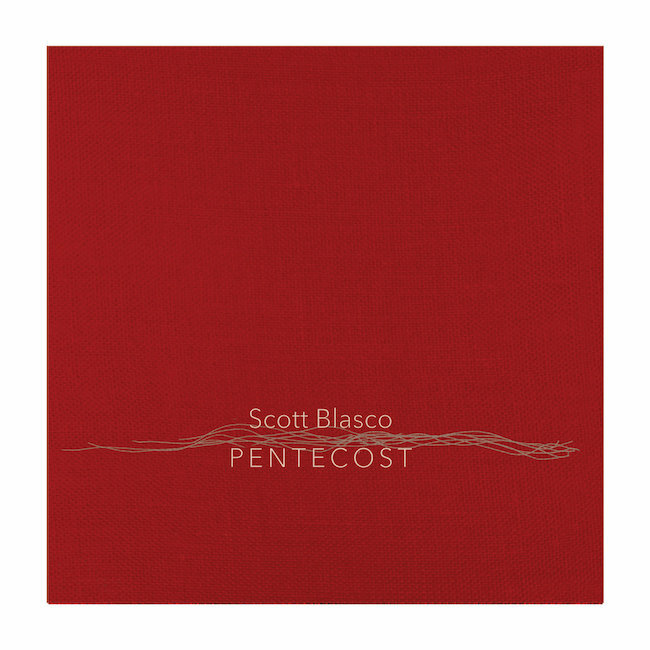 Scott Blasco is a composer and sound artist currently residing in Pullman, Washington. His music has recently been performed at the Electronic Music Midwest Festival, the Society of Composers Region VI conference, and in the Kansas City Art Institute’s ArtSounds concert series. 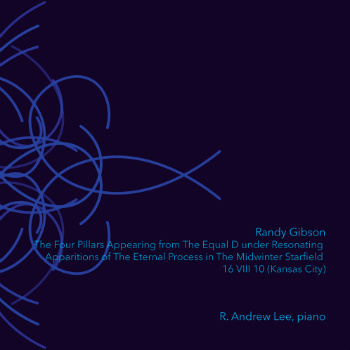 Recent commissions include the piano and electronics work Queen of Heaven for pianist Kari Johnson, and Reliquary, an interactive sound-art exhibit collaboration by Scott and composer Paul Rudy commissioned by the UMKC Friends of the Library. 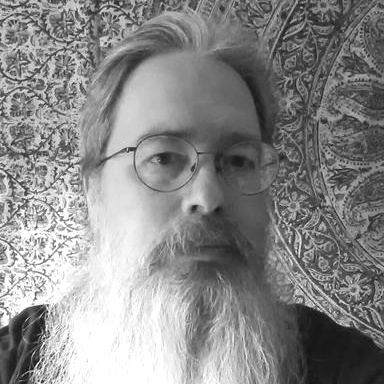 Scott teaches composition, music theory, and electronic music at Washington State University, and is a board member of the Kansas City Electronic Music and Arts Alliance (KcEMA) and a founding member of the Kansas City-area electroacoustic new music ensemble The Digital Honkbox Revival. He holds degrees in music from Western Michigan University and Calvin College, in theology from Fuller Theological Seminary, where he studied theology and the arts, and recently completed a doctorate in music composition at the University of Missouri-Kansas City Conservatory of Music and Dance. Jason Bolte is an Assistant Professor of Music and Director of the MONSTER Studios at Montana State University where he teaches courses in composition and music technology. 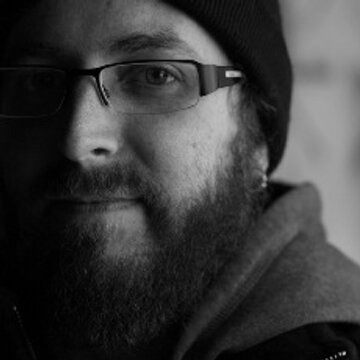 Jason is a member of the organizational board of the Electronic Music Midwest Festival, and a founding board member of the Kansas City Electronic Music and Arts Alliance. Jason earned a B.M. with an emphasis in Music Engineering Technology and a M.M. in Music Composition from Ball State University. He also holds a D.M.A. in Music Composition from the University of Missouri - Kansas City Conservatory of Music and Dance, where he was a Chancellor’s Doctoral Research Fellow, a School of Graduate Studies Dean’s Doctoral Fellow, and an Ovation Scholar. Before joining the faculty at MSU, Jason taught at the University of Central Missouri and the Kansas City Kansas Community College. A composer of acoustic and electroacoustic music, his work has been performed throughout the United States, Europe, South America and Asia. In the summer of 2007, he was an Associate Artist in Residence at the Atlantic Center for the Arts with Master Artist Denis Smalley. 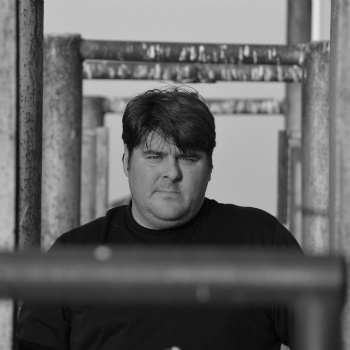 Jason’s music has received awards and recognition from the International Competition for Composers "Città di Udine" (Finalist: 2010), ISCM Miami Section, World New Music Days (Selection 2010), VII Concurso Internacional de Miniaturas Electroacusticas (Finalist: 2009), 2nd. International Electroacoustic Music Contest – CEMVA (Third Prize: 2008), 9th Electroacoustic Composition Competition Música Viva (Prizewinner: 2008), Bourges International Competition of Electroacoustic Music and Sonic Art (Selection: 2006, 2008), ASCAP/SEAMUS Student Commission Competition (Second Prize: 2008), ETH Zurich Digital Arts Week Soundscape Competition (Recognition: 2007), Music Teachers National Association and Missouri Music Teachers Association (Missouri Composer of the Year/Commission: 2007), and International Society of Bassists Composition Competition (First Prize, Media: 2005). Jason’s music is available on the Vox Novus and Miso Records labels. George Brunner is a composer and performer, researcher/writer, recording engineer/producer and teacher. His music has been performed throughout the United States, in Europe, Asia, and South America. 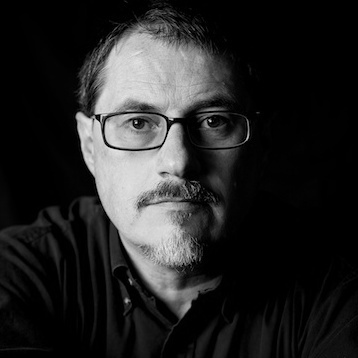 Brunner has been composer-in-residence in 1996, 1998, 2001 at EMS (Electroacoustic Music Studios) in Stockholm, Sweden and in 2001 also at Kungliga Musikhögskolan i Stockholm (Royal College of Music in Stockholm), Sweden. 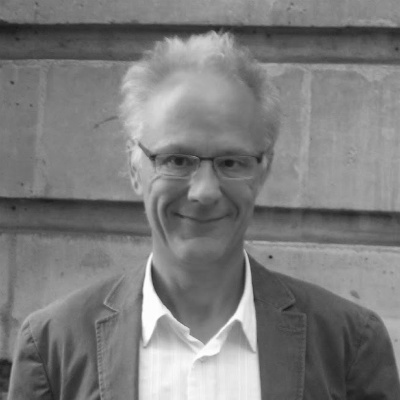 A recent recipient of research grants from the American Scandinavian Foundation and the Svenska Institutet of Sweden, he is at present writing a book on Text Sound Composition and is considered an authority on the subject. Brunner is the Director of the Music Technology Program for the Conservatory of Music at Brooklyn College and is the founder of the Brooklyn College Electroacoustic Music Ensemble, which under his direction produces an annual CD. He also founded and coordinates the biannual International Electroacoustic Music Festival at Brooklyn College, New York City. Mr. Brunner was born in Philadelphia, Pennsylvania. 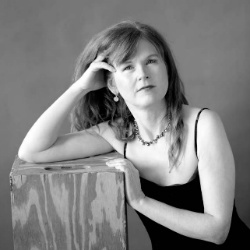 Sarah Cahill, recently called “a sterling pianist and an intrepid illuminator of the classical avant-garde” by the New York Times and “a brilliant and charismatic advocate for modern and contemporary composers” by Time Out New York, has commissioned, premiered, and recorded numerous compositions for solo piano. Composers who have dedicated works to her include John Adams, Terry Riley, Frederic Rzewski, Pauline Oliveros, Yoko Ono, and Ingram Marshall, and she has also premiered pieces by Lou Harrison, Julia Wolfe, Toshi Ichiyanagi, George Lewis, Leo Ornstein, and many others. 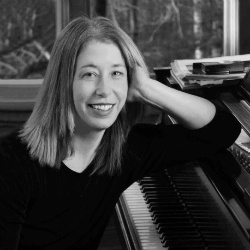 Cahill has researched and recorded music by the important early 20th-century American modernists Henry Cowell and Ruth Crawford, and has commissioned a number of new pieces in tribute to their enduring influence. 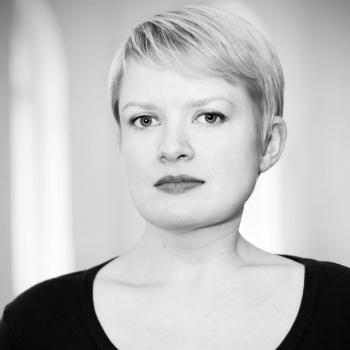 She enjoys working closely with composers, musicologists, and scholars to prepare scores for performance. 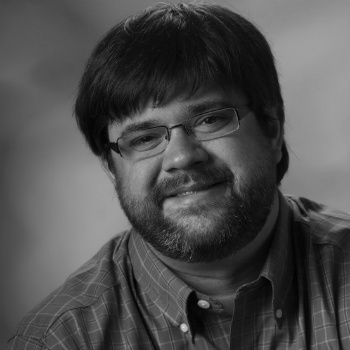 John Chittum (1984) is a Kansas City based composer, trombonist, and audio engineer. He holds degrees from DePauw University, Brooklyn College and is pursuing a degree from University of Missouri Kansas City. John’s numerous festival appearances include EMNY’s IEAMF, SEAMUS, and EMM. His chamber opera, “Cake,” was premiered professionally by the Remarkable Theater Brigade. His composition teachers include James A. Beckel, Carlos Carillo, Doug Cohen, George Brunner, Reynold Simpson, Matthew Burtner, Jim Mobberley and Zhou Long. John is a founder of UMKC’s R.A.T. ensemble and plays trombone with Kansas City’s Black House Improvisors’ Collective. 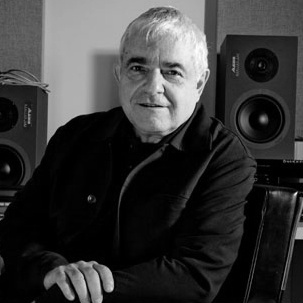 As an audio engineer, John has had the privilege of working with acts such as L.L. Cool J, Gin Blossoms, The Trammps, and Chubby Checker as well as being an engineer at SEAMUS 2012 at Lawrence University. John is currently on the Chancellor’s Fellowship for research at UMKC, pursuing research on the use of mythology and folk tales in heavy metal with a focus on the bastardization of the subjects to meet current socio-political upheavals. But since John is not known for his writing skills, his final output will be some sort of musical work, probably an opera…But he likes to keep his options open. 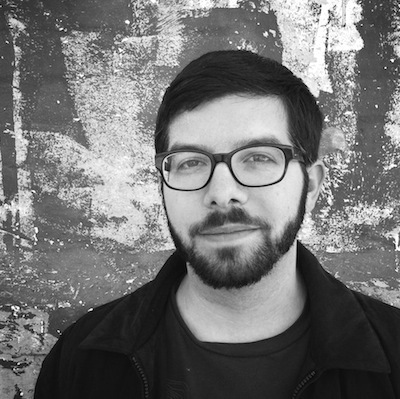 Danny Clay is a composer and teaching artist from Ohio, currently based in San Francisco. His work is deeply rooted in curiosity, collaboration, and the sheer joy of making things. His projects often incorporate musical games, open forms, found objects, archival media, toy instruments, classrooms of elementary schoolers, graphic notation, digital errata, cross-disciplinary research, and the everything-in-between. His work has been released on Parlour Tapes, Patient Sounds, Hibernate Recordings, IIKKI Editions, Unknown Tone Records, Eilean Records, Rural Colours, Phinery Recordings, Heat Death Records, Futuresequence, Tessellate Recordings, and Turmeric Magnitudes. D. Edward Davis (b. 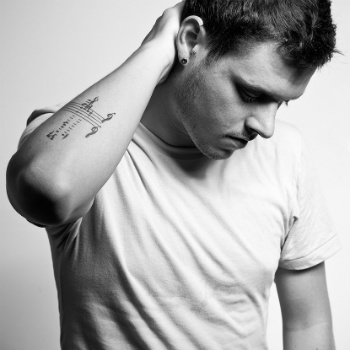 1980) is a composer of electronic and acoustic music. His work often engages with the sounds of the environment, exploring processes, patterns, and systems inspired by nature. Recent performers of his work include F-PLUS, earspace ensemble, Polyorchard, [Switch~ Ensemble], trombonist William Lang, flutist Philip Snyder, violinist Erik Carlson, Verdant Vibes, the New Mexico Contemporary Ensemble, The Witches duo, Occasional Symphony, No Exit New Music Ensemble, Musica Nova, Callithumpian Consort, Yvonne Lam and Lisa Kaplan of Eighth Blackbird, the Williams College Percussion Ensemble, Soundry Ensemble, Red Hedgehog Trio, yMusic, the Duke New Music Ensemble, Da Capo Chamber Players, the Wet Ink Ensemble, and violinist Mari Kimura. His compositions are featured on the Spectropol Records compilation Possible Worlds, Vol. 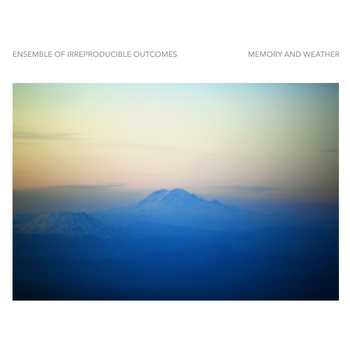 2, and on recent recordings by The Witches (Behind the Curtain), Red Hedgehog Trio (10 x 10), David Thornton (Parallel Realities), Eric Honour (Phantasm: Music for Saxophone and Computer), and Erik Carlson (Music for Violin). 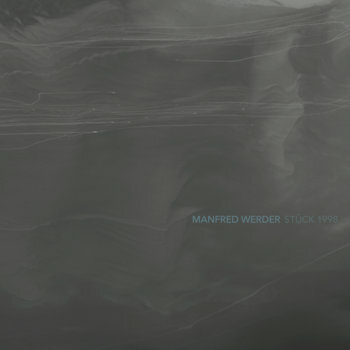 As a performer, he is featured on the 2017 Irritable Hedgehog recording of Jürg Frey’s Buch der Räume und Zeiten and on Manfred Werder’s 2003 released by Edition Wandelweiser. 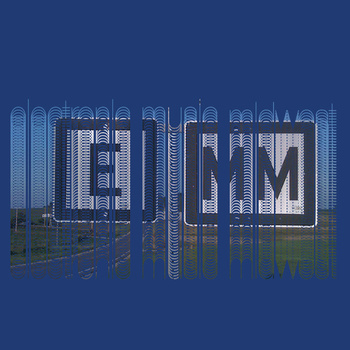 Davis’s work has been presented at the Third Practice Electroacoustic Music Festival in Richmond, VA (2017), the EcoSono Environmental Music and Sound Art Festival in Anchorage, AK (2017), SlowSD – Festival of Slow Music in San Diego (2017), the Clark Art Institute in Williamstown, MA (2016), the New Music Gathering in Baltimore (2016), the Something Said Only Once festival in Flagstaff, AZ (2015), the Brooklyn Acoustic Ecology Festival (2015), the ITEA Midwest Regional Tuba-Euphonium Conference in Bowling Green, OH (2015), the Under the Radar Festival in Omaha (2014), and SoundWalk in Long Beach, CA (2013). He has participated in the Experimental Listening & Music Sessions (Boston, 2016, 2017, 2018), the Bang on a Can Summer Music Festival (North Adams, MA, 2016), the New York City Electroacoustic Music Festival (NYC, 2014), the EcoSono Institute (Anchorage, AK, 2013), the nief-norf Summer Festival and Research Summit (Greenville, SC, 2012, 2013, and 2014) and the Summer Institute for Contemporary Performance Practice / SICPP (Boston, MA, 2012 and 2014), and was selected as a Composer Fellow for the 2012 Other Minds Festival in San Francisco. He has attended artist residencies at the Ragdale Foundation (IL), Kimmel Harding Nelson Center (NE), and the Ucross Foundation (WY). In 2018, Davis’s article “Environmental Dialogues: Conversations with Nature in the Music of David Dunn” appeared in Sound American (vol. 19), his song merman was published in NewMusicShelf’s Anthology of New Music, Baritone, Vol. 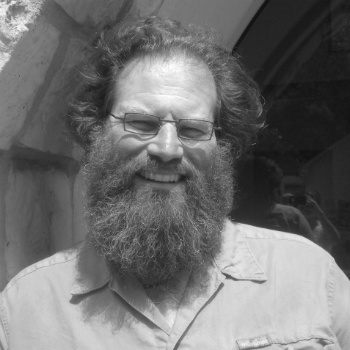 1, and his electroacoustic work imago hymns was published in the Spring 2018 issue of Computer Music Journal (“EcoSono Environmental Computer Music and Sound Art Compilation”, curated by Matthew Burtner.) Along with Jennie Gottschalk, he presented on “Ecology and Sonic Practice” at the Le Laboratoire ArtScience series in Cambridge, MA in May 2018. 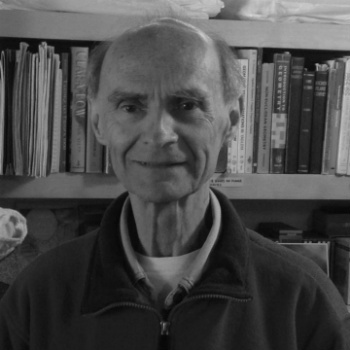 His scholarly work “The Map and the Territory: Documenting David Dunn’s Sky Drift” was published in Organised Sound (Cambridge University Press) in early 2017. He presented papers at the 2017 New Music Gathering in Bowling Green, OH and at the 2017 Sixth International Conference on Music and Minimalism in Knoxville, TN. Davis earned a doctorate from Duke University (PhD, 2016) where he studied composition with Scott Lindroth and John Supko. He also holds degrees from Brooklyn College (Master of Music, 2006) and Northwestern University (Bachelor of Music, 2002), and his former teachers include Antoine Beuger, David Grubbs, Amnon Wolman, Amy Williams, Jay Alan Yim, and Michael Pisaro. From 2010 to 2015, he was the Director of Contemporary Music at The Perlman Music Program’s Summer Music School. Davis is currently a Practitioner-in-Residence at the University of New Haven. He lives in New Haven, Connecticut, with his wife Rosemary. 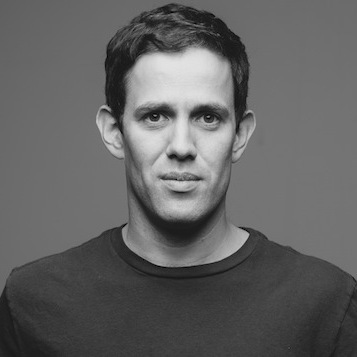 Greg Dixon works as Assistant Professor of Music and Sound Design at DigiPen Institute of Technology in Redmond, WA, where he teaches courses in sound design and music composition. 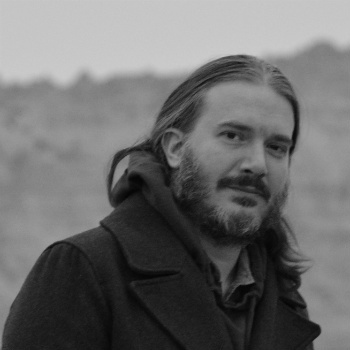 His compositional research focuses upon interactive music systems for video games, acoustic instruments, sensor technologies, and human interface devices. He has worked for more than a dozen years as a professional sound engineer, which has greatly influenced his strategies for composing electronic music in the studio. 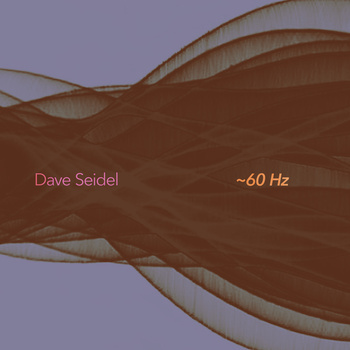 Greg’s electroacoustic compositions often make use of his own personal field recordings exploring a wide variety of source material, acoustic spaces, social and cultural artifacts, and transduction methodologies. 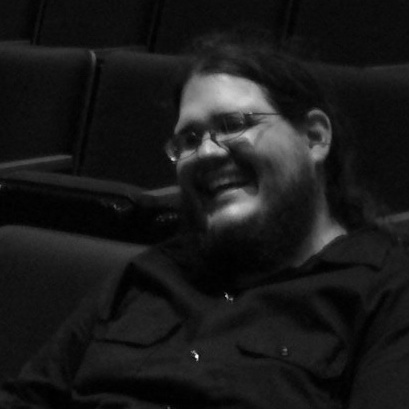 He holds a Ph.D. in composition with a specialization in computer music from the University of North Texas, where he worked as a composition teaching fellow, recording engineer, and technical assistant for CEMI. His composition instructors include Jon Christopher Nelson, Cindy McTee, Andrew May, David Bithell, Michael Pounds, Jody Nagel, Keith Kothman, and Cleve Scott. His music has been released on labels including Kohlenstoff Records, SEAMUS, Irritable Hedgehog, New Adventures in Sound Art, Vox Novus, Pawlacz Perski, winds measure, Flannelgraph Records, and on his own label, noxious fumes. William Duckworth (1943-2012) was a composer, performer, author and teacher whose work is known worldwide. 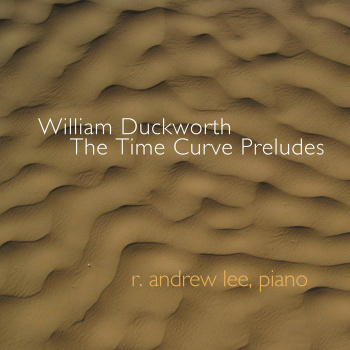 He was the founder of Postminimalism and his Time Curve Preludes for piano define the style. Since their 1979 premiere, these preludes have been heard on five continents, from Armenia and The People's Republic of China to Tokyo, Buenos Aires, Spoleto USA, the Brisbane Powerhouse, the Auditorium of Rome, and the Festival of Havana, where they were broadcast in the streets. Today, remixes of the preludes can be found on YouTube. In 1997, Duckworth and media artist and programmer Nora Farrell began Cathedral, the first interactive work of music and art on the web. The Cathedral Project features a rich-media website; new virtual instruments, including the PitchWeb; and the Cathedral Band, a worldwide collective that bridges the virtual and live worlds. Band performances have been webcast from Australia and Japan, as well as from a variety of locations in the U.S., including such New York City venues as Roulette, Galapagos, The Cutting Room, LaMaMa, the Winter Garden, and the Hiro Lounge at the Maritime Hotel. In 2001, the Cathedral Project mounted a continuous 48-hour webcast, streaming 34 performances live from 5 continents. The New York Times called the event a fabulous idea; Time Out New York said Wow. Visitors to the Cathedral site now exceed five million, and the development of the project is chronicled in Virtual Music: How the Web Got Wired for Sound (Duckworth: Routledge, 2005). Duckworth and Farrell’s second project, an iPod opera based on the Orpheus myth, explores space, scale, memory, and echo through a 2-year unfolding of video podcasts and stage performances, culminating in a public opera, iOrpheus, staged in the streets and promenades of the South Bank Parklands in Brisbane, Australia (31 August 2007). Born in North Carolina in 1943, Duckworth studied at the University of Illinois with microtonal composer Ben Johnston, himself a student of John Cage and Harry Partch. His first appearance in Europe was at the 1984 Pro Musica Nova festival in Germany. He has also recorded with the Electric Phoenix in London, given master classes in Rome, played the mobile PitchWeb in Tokyo, and participated in the composition forum at Darmstadt. 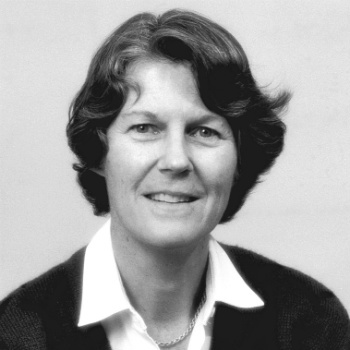 Duckworth taught at Bucknell University from 1973 to 2011. 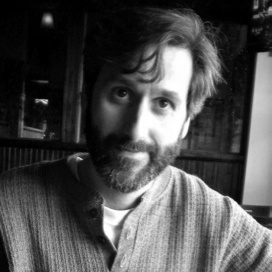 In addition to numerous teaching awards—Rolling Stone magazine called his teaching hip, bright, and innovative,—Duckworth’s honors include four NEA and NEH fellowships, the 2001 ASCAP-Deems Taylor Internet Award, the 2002 Award in Music from the Foundation for Contemporary Arts, and a Senior Fulbright Specialist Award in Information Technology to Australia in 2007. He was also a Master Artist at the Atlantic Center for the Arts in 2006, as well as the 2007 Inaugural Creative Arts Fellow for South Bank Precinct, Brisbane. Duckworth and Farrell returned to Australia in June 2009 to inaugurate a multi-year project titled Sonic Babylon, an art project planting gardens of sound around the world; invisible gardens hanging in the air and heard on mobile devices when visitors pass through. These gardens include the first permanent sound garden in Australia at the National Film and Sound Archive in Canberra, which opened during Sound Day 2009. 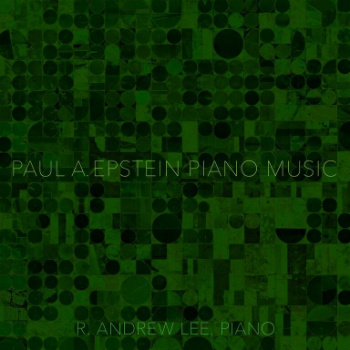 Paul A. Epstein's compositions include two chamber operas as well as works for string orchestra and for a variety of small ensembles. 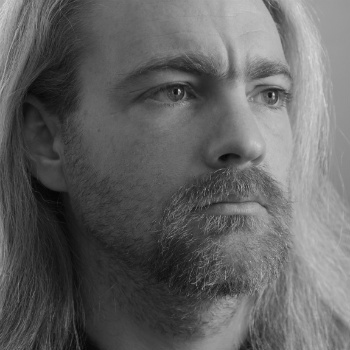 He has written extensively for voice, including a setting of Robert Coover's The Leper's Helix and a series of collaborations with poet and novelist Toby Olson. He has received commissions from the Relâche Ensemble (The Leper’s Helix and AlgoRhythms 2) and baritone Thomas Buckner (Reading.) Epstein is a member of BMI. In American Music in the Twentieth Century, critic Kyle Gann cites Epstein as “One of the finest postminimal composers...” and calls Chamber Music: Three Songs from Home “...a vocal setting for winds and keyboards of great contrapuntal beauty.” Epstein's music has been presented in the U.S. and abroad by such ensembles as Relâche, counter)induction, the Circle ensemble of London, and ONIX Nuevo Ensamble de México. It is available on compact disk on the Mode, Navona, and Capstone labels. 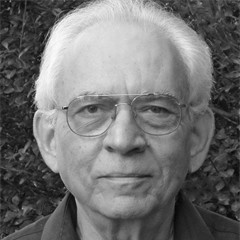 Paul A. Epstein is Professor Emeritus of Music Theory at Temple University, where he taught from 1969 to 2001. Born in Boston in 1938, he is a graduate of Brandeis University and the University of California at Berkeley. His composition teachers included Harold Shapero, Seymour Shifrin, and Luciano Berio, with whom he studied privately on a Fulbright grant to Italy in 1962-63. Epstein has been involved in closely collaborative work with artists in theater and dance. He was associated with the New York environmental theater group The Performance Group from 1969 to 1972, and from 1974 to 1987 he was composer and music director for ZeroMoving Dance Company of Philadelphia. An article by Kyle Gann, “American Composer: Paul A. Epstein,” appears in the December, 2004 issue of Chamber Music, a publication of Chamber Music America. He developed his own language as a composer and sound artist with the creation of wide, quiet sound spaces. His work is marked by an elementary non-extravagence of sound, a sensibilty for the qualities of the material, and precision of compositional approach. Sometimes his compositions bypass instrumentation and duration altogether and touch on aspects of sound art. Randy Gibson is an artist based in Brooklyn, NY composing with sound, time, light, and space. Gibson’s work unfolds at a glacial pace and treats the perception of time as a defining factor in thematic development and the experience of pure just intonation intervals. His work has been described as “engag(ing) with rhythms and temporality existing outside of our socially-constructed rhythms, offering a glimpse of time outside of time” (I Care If You Listen), "luxuriantly unhurried, intensely focused" (Thought Catalog), “an hypnotic mass of slowly mutating sound” (Textura) “a booming, throbbing sine wave that filled the room” (New York Times), and “a gorgeously expansive dronescape” (Aquarius). Gibson has received commissions from choreographers Kim Olson/Sweetedge, Ekmeles Vocal Ensemble, Transit New Music Festival, Erik Carlson, R. Andrew Lee, The Tapeworm, and Cassauna. The 2010 London Premiere of The Third Analog Pillar..., hailed by Liminal's Scott McMillan as "a moment of relative calm, of stillness, and of pleasingly soporific and mind-emptying purity," was made possible by a grant from the American Music Center (now called New Music USA). Gibson was awarded a fellowship in Music and Sound from the New York Foundation for The Arts in 2016. 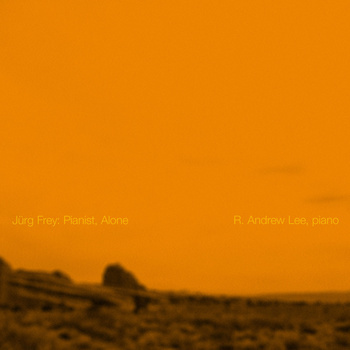 His solo just intonation piano album, Aqua Madora V-ii-2008 21:07:26" - 21:54:40" (NYC), was selected by Textura as one of the top 10 albums of 2011. Gibson’s studies of rāga singing in the Kirana tradition with Khan Sahib La Monte Young, Marian Zazeela, and Jung Hee Choi, and extensive direct exposure to many of Young and Zazeela’s seminal works, have brought intense focus to the environments he creates. In late 2009, inspired by Young’s systemic and eternal approach to pitch and Vertical Hearing, Gibson began developing a set of tuning theories called The Four Pillars which has provided the harmonic, conceptual, and tonal language for all of his subsequent work including his recent works with pure projected light. He has presented performances and installations at festivals around the world including the Avant Music Festival in New York City, the Spark Festival of Electronic Music and Art in Minnesota, The Transit New Music Festival in Belgium, The Internationale Tanzmesse NRW in Düsseldorf, The Boulder and Minnesota International Fringe Festivals, HOT DAM: the opening festival of the Denver Art Museum, the Sans Souci International Festival of Dance Cinema, the ISIM 3rd annual conference, the Erick Hawkins Legacy Forum in New York, the Korea Experimental Arts Festival in Seoul, and the Internationale Ferienkurse für Neue Musik, Darmstadt. Gibson was raised in Boulder, Colorado, traveling into the high mountains to look at the stars and the Milky Way and meditate on the expanses of life. This formative experience has instilled in his work a grand spaciousness and scale. In 2001, Gibson moved to New York City and since 2003, has studied music and composition with seminal Minimalist pioneer La Monte Young. In 2003 Gibson founded Avant Media, a non-profit organization dedicated to expansive collaborative artistic endeavors, and, since 2010, curated the Avant Music Festival, celebrating composers’ singular visions in dedicated concerts and installation experiences. 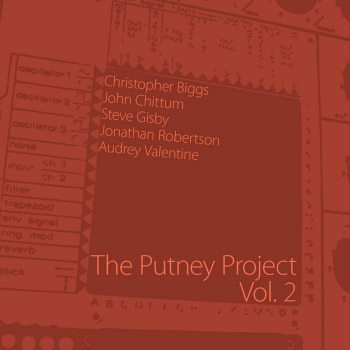 Steve Gisby is a British composer, bassist, writer, examniner and educator. He was born in 1975 and lives near London. Steve's music has been performed across the USA, Europe and the UK. Two of his works appear on Symmetry | Reflection, the debut CD by US percussion duo Novus Percutere, alongside music by Steve Reich, John Psathas, Chrisopher Adler, Ivan Trevino and Luis Rivera. Steve has given lectures and presentations at IRCAM in Paris, the Sibelius Academy in Helsinki, Furman University in South Carolina, California State University at Long Beach, Canterbury Christ Church University, Surrey University, the University of Huddersfield and the University of Birmingham. He is on the committees of the Society For Minimalist Music and the Music And / As Process Study Group. He also works as an examiner for Trinity College London on their Rock & Pop syllabus, having conducted exams in the UK, Northern Ireland, Italy, India, Vietnam, South Africa, Malaysia and Brunei. As a bassist, Steve performs with a wide range of ensembles thoughout the UK, including appearances at Ronnie Scott's, the Edinburgh Festival and on HTV (West), Channel 4 and satellite broadcasts to the USA, Canada, Mexico, Europe and the Far East. 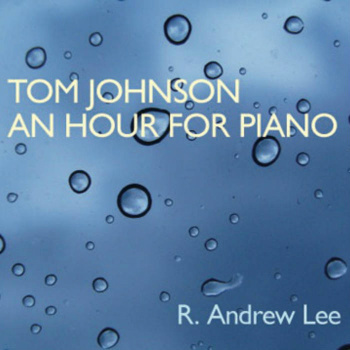 In May 2014, along with pianist Michael Bonaventure, he gave the world premiere performance of Tom Johnson's Intervals. When not playing music, teaching music, writing music, writing about music, listening to music or reading about music, Steve can usually be found drinking tea or making a fuss of his cats. After graduating from Oberlin College and Conservatory, where she studied with Gregory Fulkerson as a violin performance major in addition to receiving a Mathematics degree, Myra Hinrichs made the great migration to Chicago, where in addition to performing in the Madison Symphony and the Civic Orchestra of Chicago, she teaches at several community music schools in the greater Chicago area. 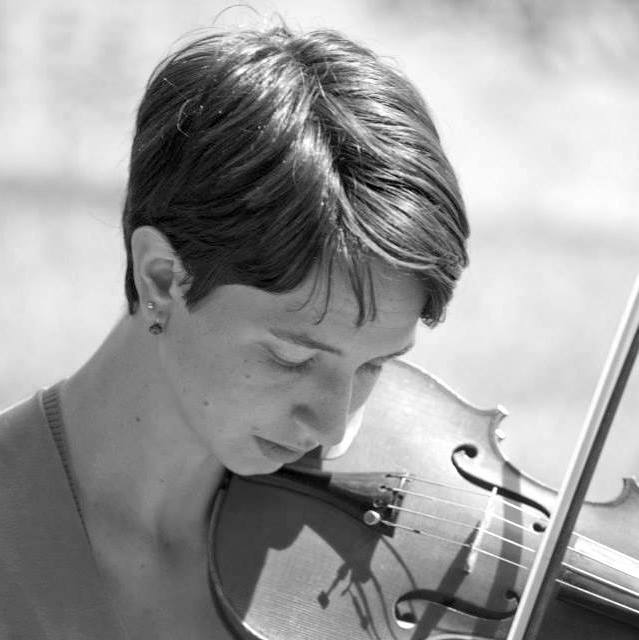 Myra has appeared with fixtures of the Chicago new music scene, including the Morton Feldman Chamber Players, Dal Niente, a.periodic, Mocrep, and NON:op, and is a founding member of string trio Chartreuse and the Houndstooth Quartet. Myra began playing the violin at age 6 with Jung-Kyu Min in Saint Paul, MN. She has attended the Aspen Music Festival and School, National Orchestral Institute, Mimir Chamber Music Festival, National Repertory Orchestra, and Spoleto Festival USA. Eva-Maria Houben (born 1955) studied Music Education at Folkwang-Musikhochschule Essen and the organ with Gisbert Schneider. Following her exams she taught both German and Music Education at Secondary School. She received her doctorate and postdoctoral lecturing qualification in musicology and was called for lectures at Gerhard-Mercator-Universität Duisburg and Robert-Schumann-Hochschule Düsseldorf. Since 1993 Professor Houben has been lecturing at Dortmund University`s “Institut für Musik und Musikwissenschaft”, with both music theory and contemporary music as her focus. Up to now many books were published, concerning contemporary music, contemporary composers and traditional music, listened to with ‘new ears’. Eva-Maria Houben has been performing works for the organ for more than 30 years. 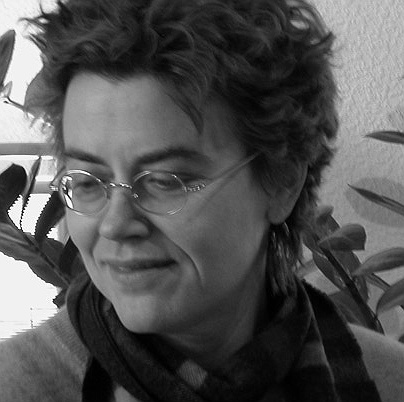 As she is related to the “wandelweiser-group” of composers, her compositions are published by “edition wandelweiser”, Haan. Her list of compositions up to now includes works for the organ, piano, clarinet, trombone, violoncello and other solo instruments, works for voice and piano, for wind and chamber ensembles, for orchestra and for voice and orchestra, works for choir (www.wandelweiser.de). She publishes on subjects of contemporary music (Steiner, PFAU, Edition Howeg, bis-label Oldenburg). For more info on Dennis Johnson, this interview by The Wire is as comprehensive as anything that is publicaly available. Kansas City based pianist Kari Johnson has been heard at a variety of new music venues including the 2013 Seoul International Computer Music Festival, the 2011 Thailand International Composition Festival, Electronic Music Midwest, and the Electro Acoustic Barn Dance. 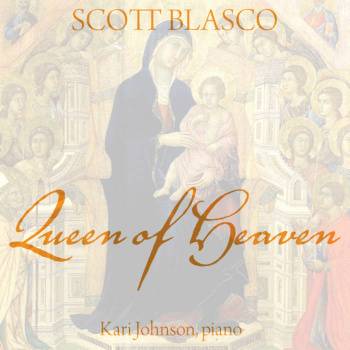 She can be heard on Irritable Hedgehog’s 2012 release of Scott Blasco’s Queen of Heaven. Johnson has an affinity for new music performance, which is evident in her fearless interpretations and willingness to explore new techniques. 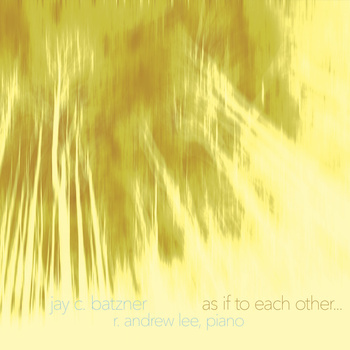 Her playing has been praised for its firm musicality and “sensitivities [that are] rather extraordinary.” Johnson actively seeks collaborations with both up-and-coming and established composers, and enjoys introducing electronic music to new audiences. Johnson is well known for his operas: The Four Note Opera (1972) continues to be presented in many countries. Riemannoper has been staged more than 30 times in German-speaking countries since its premier in Bremen in 1988. Often played non-operatic works include Bedtime Stories, Rational Melodies, Music and Questions, Counting Duets, Tango, Narayana's Cows, and Failing: a very difficult piece for solo string bass. 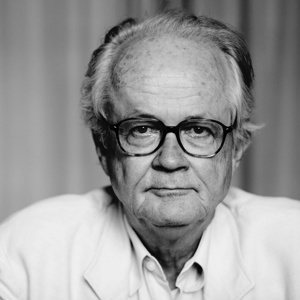 Johnson has also written numerous radio pieces, such as J'entends un choeur (commissioned by Radio France for the Prix Italia, 1993), Music and Questions (also available on an Australian Broadcasting Company CD) and Die Melodiemaschinen, premiered by WDR Radio in Cologne in January 1996. 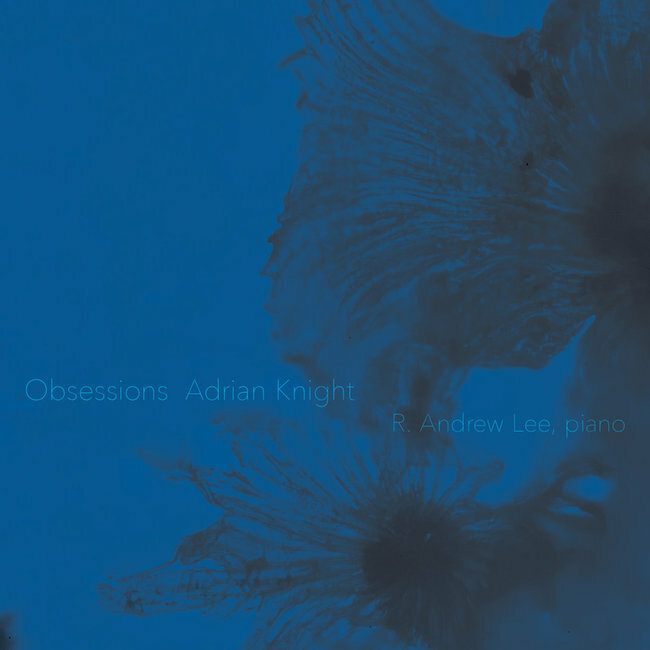 The principal recordings currently available on CD are the Musique pour 88 (1988) (XI), An Hour for Piano (1971) (Lovely Music), The Chord Catalogue (1986) (XI), Organ and Silence (2000) (Ants), and Kientzy Plays Johnson (2004) (Pogus), Rational Melodies and Bedtime Stories performed by clarinetist Roger Heaton (Ants Records AG12) and Symmetries (Karnatic LabsKLR 010). 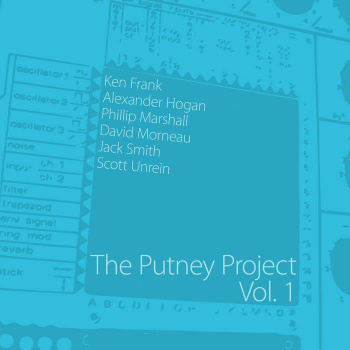 Recent projects include Tilework, a series of 14 pieces for solo instruments, published by Editions 75 in 2003, Same or Different, a piece commissioned by the Dutch radio in 2004, and the Combinations for String Quartet, premiered in Berlin on the MärzMusik festival in 2004, and more recently, scores such as Kirkman’s Ladies, Networks, Septet, and 55 Chords for two electric keyboards, all derived from combinatorial designs. As performer he frequently plays his Galileo, a 40-minute piece written for a self-invented percussion instrument. Johnson received the French national prize in the victoires de la musique in 2001 for Kientzy Loops. The latest orchestra score is 360 Chords, premiered in July 2008 by Musica Viva in Munich. Adrian Knight (b. 1987, Uppsala, Sweden) is a composer and multi-instrumentalist. He lives in Brooklyn, NY. His works are published by Project Schott New York. Commissions and performances include pieces for The Living Earth Show, R. Andrew Lee, Minnesota Orchestra, Mobius Trio, Red Light Ensemble, Nonsemble 6, Tigue, Margaret Lancaster and the Yale School of Drama. In 2008 he founded the record label Pink Pamphlet as an outlet for his own and his friends’ recorded work. He is a founding member of Blue Jazz TV and ambient duo Private Elevators. He performs and writes regularly with David Lackner in the Synthetic Love Dream Band. 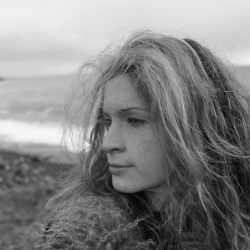 Elainie Lillios's music reflects her fascination with listening, sound, space, time, immersion and anecdote. Her music explores many sound worlds; sometime referential ones such as the human voice, cars, wind chimes, or water. Other times her materials are less obvious, like crunching branches, walking through snow or pebbles shuffling in water. Her compositional output includes electroacoustic and acoustic works, music for instruments with live interactive electroacoustics, and collaborative immersive multimedia audio/visual installation environments. Her research interests include sound diffusion as the performance practice of electroacoustic music, audio spatialization employing Ambisonics (3D audio), critical listening as a creative aid and Deep Listening. Her creative work and research has been funded through grants and commissions from organizations including the International Computer Music Association, La Muse en Circuit, New Adventures in Sound Art, Reseaux, ASCAP/SEAMUS, Kalamazoo Animation Festival International, Louisiana State Universitys Center for Computation and Technology, Sonic Arts Research Centre Belfast, Ohio Arts Council, Mid-American Center for Contemporary Music, Ohio Board of Regents and National Foundation for the Advancement of the Arts. She has also received commissions from individual performers including saxophonist Steve Duke, soprano Diane Ragains and pianist Thomas Rosenkranz. Elainies composition,Veiled Resonance for soprano saxophone and live, interactive electroacoustics was recently awarded First Prize in the 36th International Competition of Electroacoustic Music and Sonic Art/Bourges 2009. Elainies music has received other awards and recognition from international competitions including the Concurso Internacional de Musica Electroacustica de Sao Paulo, Concorso Internazionale Russolo, Concours Internationale de Bourges, Pierre Schaeffer Competition, Kalamazoo Animation Festival International and La Muse en Circuit Radiophonic Competition. Her pieces have been presented nationally and internationally at conferences, concerts and festivals including the International Computer Music Conferences (New York, Belfast, New Orleans, Miami, Goteborg, Cuba, Berlin), Society for ElectroAcoustic Music in the United States National Conferences (Minnesota, Indiana, Utah, Iowa, Oregon, California, Arizona, Louisiana, Texas, New Hampshire), Australasian Computer Music Conference, Festival di interpretazione della musica acusmatica and others.Her collaborative animation work has been screened at international festivals including SIGGRAPH 2009, Melbourne Animation Festival, London Animation Festival, Les Sommets du Cinema DAnimation de Montreal, Visual Music Marathon, Red Stick Animation Festival, Kalamazoo Animation Festival International and the International Digital Media Art Association IDEAS Festival. She has been featured as a special guest composer at the Groupe de Recherches Musicales, Rien a Voir, festival lespace du son, June in Buffalo Festival, Mountain Computer Music Festival, Future Music Oregon, Western Oregon University Electronic Music Festival, Louisiana State University and Ionian University Corfu. Elainie's music is available on the Empreintes DIGITALes, StudioPANaroma, La Muse en Circuit, and SEAMUS labels, and is included in New Adventures in Sound Arts The Radio Art Companion. Three of her pieces were released in 2009; Veiled Resonance for soprano saxophone and live interactive electroacoustics on SEAMUS Volume XVIII, Toronto Island Contrasts on Deep Wireless 6, and Listening Beyond the LMJ Mix on Leonardo Music Journal Volume 19. 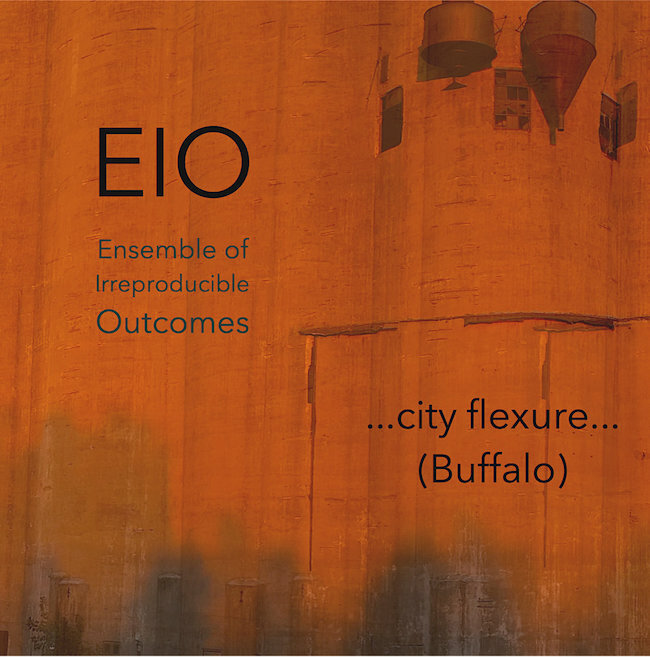 Elainie serves as Associate Professor of Composition and Coordinator of Music Technology at Bowling Green State University in Ohio where she teaches applied composition, music technology and experimental digital audio and animation. 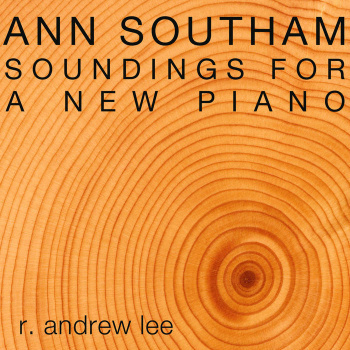 Pianist R. Andrew Lee is one of the foremost interpreters of minimal music. 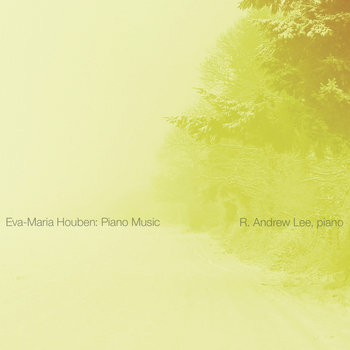 He has been described as having “consistently impressive solo releases” (New York Times), and his CD, Eva-Maria Houben: Piano Music, was chosen by Alex Ross in The New Yorker as one of the Top 10 Classical Recordings of 2013. 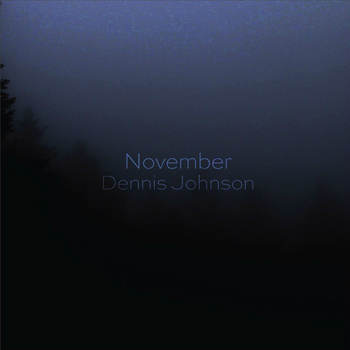 In his tenure with the Irritable Hedgehog label, he has recorded twelve albums, including the premiere recording of Dennis Johnson’s 5-hour minimalist epic, November, which was selected by Time Out New York as the best classical recording of 2013. Lee has performed in a number of venues and festivals dedicated to experimental music around the world, including the Skanu Mezs Festival (Riga, Latvia), Unsound Festival (Krakow, Poland), Café OTO (London), ISSUE Project Room (New York), Roulette (New York), Constellation (Chicago), and The Wild Beast (Los Angeles). 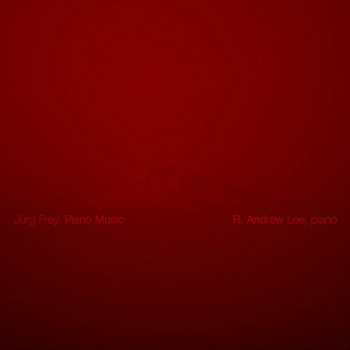 The intersection of minimal music and temporality is a primary research interest for Lee. 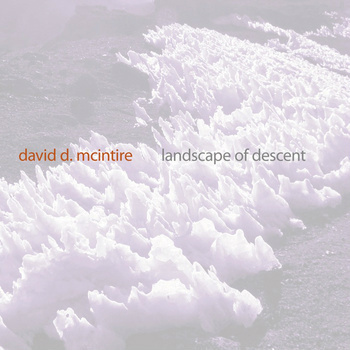 As such, he has presented papers and lecture-recitals at several international conferences, most recently the Fourth International Conference on Minimalist Music (California State University, Long Beach) and Time's Excesses and Eccentricities in Music, Literature and Art (Université de Caen Basse-Normandie). 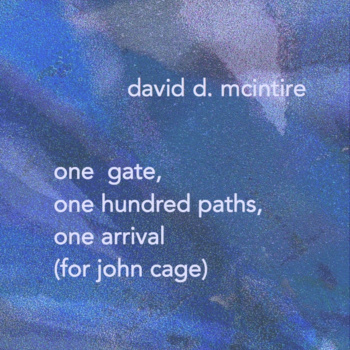 His writing has been published by Divergence Press. Lee currently teaches at Regis University in Denver, Colorado, and was most recently Artist-in-Residence at Avila University. 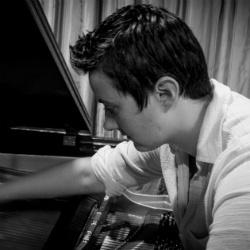 Lee received his DMA in Piano Performance from the University of Missouri-Kansas City Conservatory of Music, where he studied under the direction of Prof. John McIntyre. 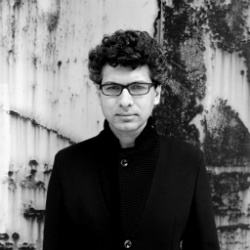 Described by The New Yorker as “empowered by modern technology but haunted by a spirit of immemorial darkness,” and by The New York Times as “consistently stimulating,” The Boston Globe portrays Keeril Makan as a composer “whose music deserves to be more widely heard.” Recipient of a Guggenheim Fellowship and the Luciano Berio Rome Prize from the American Academy in Rome, he has also received awards from the American Academy of Arts and Letters, the Fromm Foundation, Meet the Composer, the Aaron Copland House, the Utah Arts Festival, the Fulbright Program, and ASCAP. His work has been commissioned by the Bang on a Can All-Stars, American Composers Orchestra, Harvard Musical Association, and Carnegie Hall, among others. His CDs, In Sound (Tzadik), Target (Starkland), and Afterglow (Mode) include performances by the Kronos Quartet, Either/Or, and the International Contemporary Ensemble. Persona, his opera, commissioned by Beth Morrison Projects and National Sawdust, is an adaptation of Ingmar Bergman’s classic film, with a libretto by Jay Scheib. Schott is publishing his compositions. Makan was raised in New Jersey by parents of South African Indian and Russian Jewish descent. After training as a violinist, he received degrees in composition and religion from Oberlin and completed his PhD in composition at the University of California–Berkeley, with additional studies in Helsinki and Paris. Makan makes his home in Cambridge, Massachusetts, where he is Associate Professor of Music at MIT. 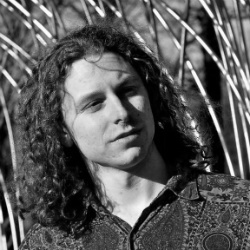 Called “visionary magic” by Susan Scheid, composer Dylan Mattingly's work is fundamentally ecstatic, committed to the extremes of human emotion, drawing from influences such as Olivier Messiaen, Joni Mitchell, and the microtonal folk singing of Polynesian choirs and the Bayaka of Central Africa. 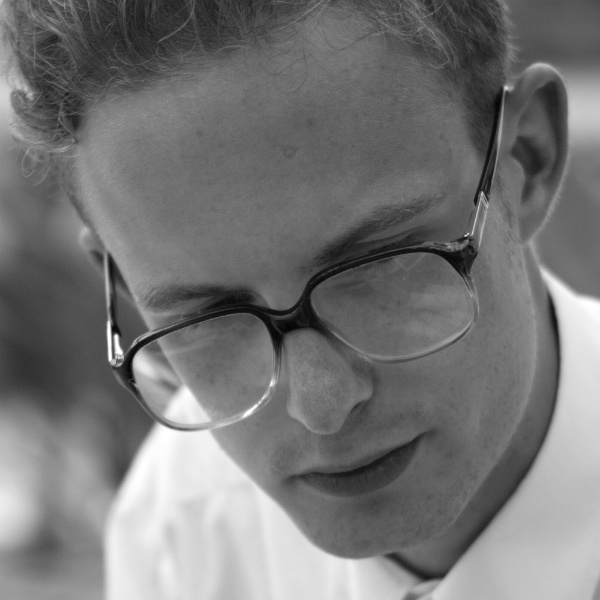 Mattingly is the founding executive and co-artistic director of Contemporaneous and was previously the co-director of Formerly Known as Classical, a youth-run new music ensemble whose members play only music written in their lifetimes. 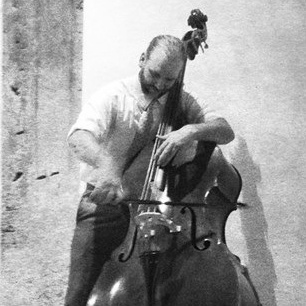 Mattingly performs frequently as a cellist, bassist, pianist, guitarist, and percussionist. 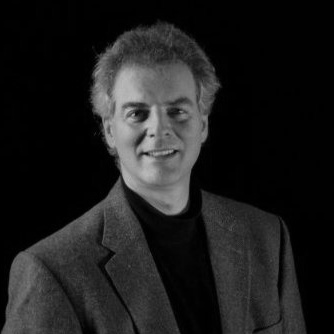 Mike McFerron is Professor of music and Composer-in-Residence at Lewis University in the Chicago area. At Lewis University, McFerron teaches music composition and directs the music technology program. He received a DMA in composition from the Conservatory of Music--University of Missouri at Kansas City where his primary teachers were James Mobberley, Chen Yi, and Gerald Kemner. A native of Oklahoma, McFerron also studied composition with Ray E. Luke. 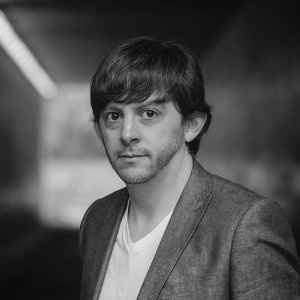 He has been on the faculty of UMKC and the Kansas City Kansas Community College, and he has served as resident composer at the Chamber Music Conference of the East/Composers' Forum in Bennington, Vt. McFerron is founder and co-director of Electronic Music Midwest. McFerron's music has received critical acclaim and recognition. His Loving Is, a chamber opera, premiered at Carnegie Hall by the Remarkable Theater Brigade. Perspectives for orchestra was awarded first prize in the Louisville Orchestra Composition Competition, was a recipient of the Chicago Symphony Orchestra's "First Hearing" Program (2001), was awarded an honorable distinction in the Masterprize International Composition Competition (2003), and an honorable mention in the Rudolf Nissim Prize (2001). 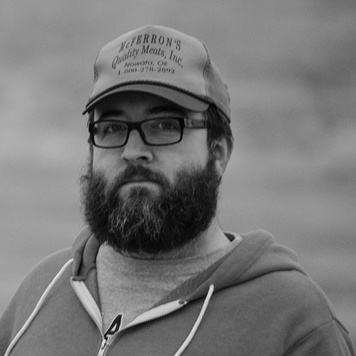 McFerron was chosen the winner of the Cantus Commissioning/Residency Program, and he was a recipient of the 2005 CCF Abelson Art Song Commission. 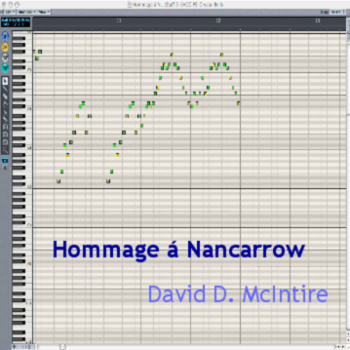 His music was a finalist in the 1st International Electroacoustic Music Contest - CEMJKO, the 2004 Confluencias Electronic Miniatures II International Competition, the 2005 Truman State/MACRO Composition Competition, The 2005 American Modern Ensemble Composition Competition, the 2002 Swan Composition Competition, the 1999 Salvatore Martirano Composition Contest, and the 1997 South Bay Master Chorale Choral Composition Contest. 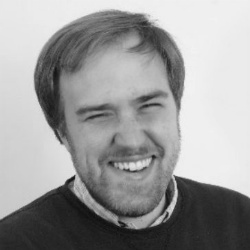 McFerron has been a composers fellow at the MacDowell Colony, Ucross, June in Buffalo, and the Chamber Music Conference of the East/Composers' Forum in Bennington, Vt. His music has been featured on SCI National Conferences, SEAMUS National Conferences, the International Computer Music Conference (ICMC), University of Richmond's 3rd Practice Festival, Spark Conference, Annual Florida Electroacoustic Music Festivals, Spring in Havanna, the MAVerick Festival, several SCI regional conferences, and concerts and radio broadcasts across the U.S. and throughout Europe. He has received commissions from Cantus, SUNY-Oswego, GeNIA, the Chamber Music Conference of the East/Composers' Forum, Nelson-Atkins Museum of Art in Kansas City, Lewis University, Sumner Academy of Arts and Science, and four times by the Metropolitan Youth Symphony Orchestra. McFerron the chair of the executive committee of Society of Composers, Inc. and serves on the board of directors for the Metropolitan Youth Symphony Orchestra. McFerron's music can be heard on numerous commercial CDs as well as on his website at http://www.bigcomposer.com. 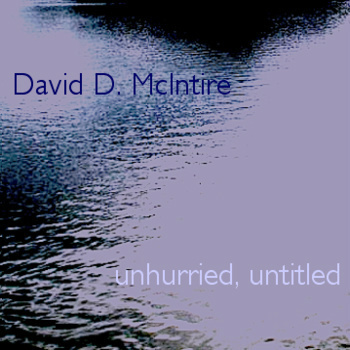 David D. McIntire was born in upstate New York and has had some training on the clarinet. Weekly exposure to Protestant hymnody and playing in a small town band were experiences that provided his entry into music. Hearing the music of Sibelius in the fifth grade also made a deep impact. He has maintained his livelihood for three decades through playing, teaching, composing, and writing about music. He has had an inexplicable interest in electronic and modern music since his early teen years, to the frustration of several of his teachers. He also played clarinet and saxophone in a number of eccentric and overly idealistic musical groups, most notably the Colorblind James Experience (with whom he toured and recorded extensively), the Whitman/McIntire Duo, and the Hotheads. 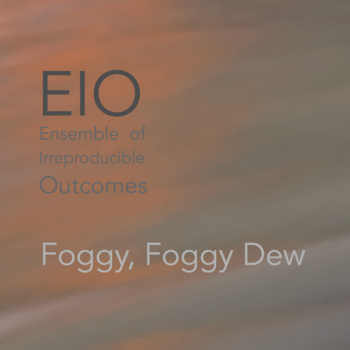 Presently, he leads the Ensemble of Irreproducible Outcomes (EIO) an improvisational trio based in Kansas City. He also runs Irritable Hedgehog Music, a small label devoted to minimal and electroacoustic music. Several of their releases have been widely praised for their sound quality, historical importance and musical content. Michelle McIntire is a conductor, a director, a singer, a pianist and (most of all!) a teacher. She has performed widely throughout the south and mid-west in concert and stage venues, and is actively pursuing a career in music. As well as singing traditional classical recitals and performances, she has also been very active in musical theater. She has performed several roles, including Reno in "Anything Goes, "Aldonza in "The Man of la Mancha", Mother Abbess in "The Sound of Music", and Rosie in "Bye, Bye Birdie". 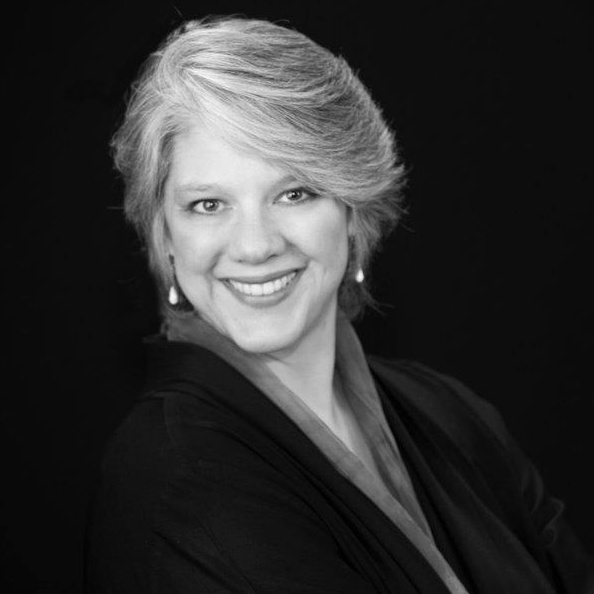 Michelle holds a Master of Music in Voice Performance from Ithaca College, a Master of Music in Choral Conducting from the University of Missouri - Kansas City, and a Bachelor of Music in Voice from Florida Southern College. In addition to NATS, memberships include: Music Educators National Conference, Missouri Music Educators Association, and the American Choir Directors Association. 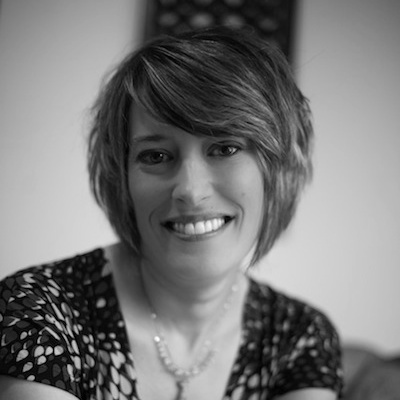 Michelle has been teaching voice and piano since 1989. In that time, she has worked with college and high school aged students, beginning adults, young children and retirees, gifted and special needs students, raw beginners and experienced professionals. Michelle feels that her love of people helps her to connect with her students on a very special level, which allows both to grow, no matter what the starting point! For school aged students, she strongly encourages parental involvement. Michelle has a strong track record of past student success. Michelle has experience in coaching singing actors, acting singers, singing dancers, and triple threats. In addition, Michelle regularly participates in local community theaters, either in the cast or behind the scenes as musical director--or even playing in the pit! 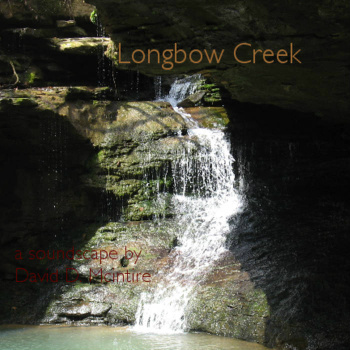 David Morneau is a composer of an entirely undecided genre. Described by Molly Sheridan as a "shining beacon" of inspiration, his diverse work illuminates ideas about our culture, issues concerning creativity, and even the very nature of music itself. His eclectic output has been described variously as "elegantly rendered", "happily prissy", "impressive", "unusual, esoteric, and offbeat". 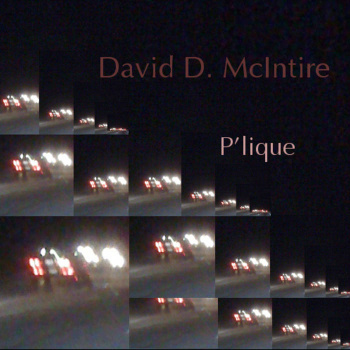 His recent album, Broken Memory, "absolutely wrecks shop.… For that, David Morneau wins." Morneau is Artistic Director of Circuit Bridges and Composer-In-Residence at Immigrant Breast Nest. Regina Myers performs as a solo artist and with ensembles around the Bay Area. She received a Bachelor's degree in Piano Performance from the San Francisco Conservatory of Music and a Master's in Piano Performance and Literature from Mills College, where she focussed on new and experimental music under the guidance of pianist Marc Shapiro and percussion master William Winant. In 2004 she founded the concert series and now ensemble New Keys: New Keys' mission is to surface and promote the newest and most innovative music for the piano. We challenge composers to explore the vast untapped potential of the piano and strive to craft the experience of a piano recital as both captivating and approachable for our audience. 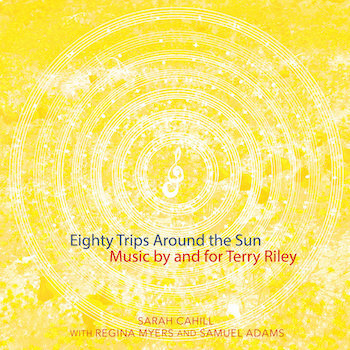 Other current projects include gearing up for recording all the Terry Riley 4-hand pieces with her duo partner Sarah Cahill. Before going on hiatus to rapidly and accidentally expand her family, Regina proudly taught piano to beloved students for 17 years. She has participated in the Hot Air, Switchboard, Garden of Memory Summer Solstice and SF Friends of Chamber Music SF Music Day music festivals and has had the honor of playing many concerts with the William Winant Percussion Group as well as the San Francisco Contemporary Music Players and on Luciano Chessa's recently released album Petrolio. Regina prides herself on expanding the reach of new music for piano by commissioning new works and organizing concerts for their premieres and recording. She relishes working with young and emerging composers as well as keeping seminal new music masterpieces alive. 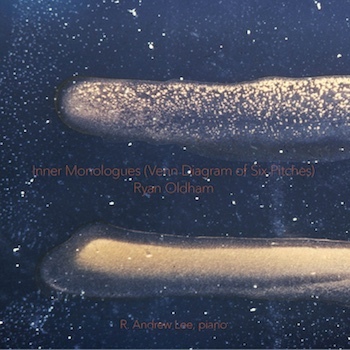 Composer Ryan Oldham (b. 1977) is an adjunct instructor for the University of Missouri - Kansas City Conservatory of Music and Dance and teaches private lessons and theory classes at the UMKC Community Music and Dance Academy. He holds a B.M. from the Indiana University of Pennsylvania (1999), a M.M. 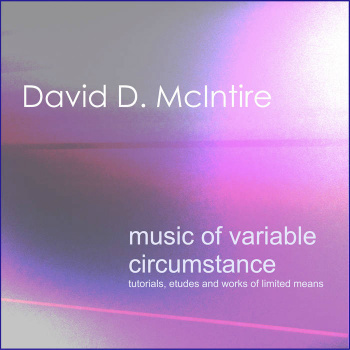 from the University of Louisville (2002) for music composition and theory, and a D.M.A. from the University of Missouri - Kansas City Conservatory of Music and Dance (2008). Oldham’s music has been performed in Sweden, Mexico, and the United States. His research on Henry Cowell was presented at the 34th Annual Conference of the Society for American Music. 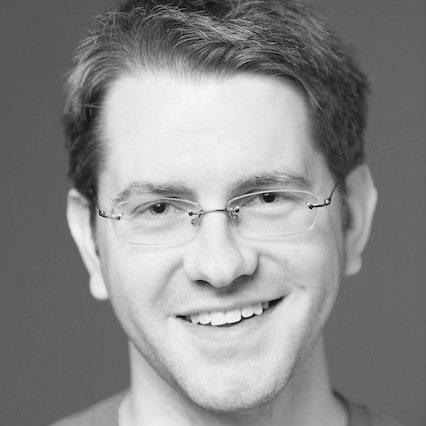 Oldham has been a guest clinician and resident composer for several organizations, including the Kentucky Opera, “Composers in the Schools”, and several high school music programs. 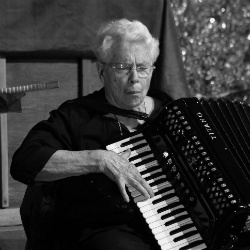 PAULINE OLIVEROS is a senior figure in contemporary American music. Her career spans fifty years of boundary dissolving music making. In the '50s she was part of a circle of iconoclastic composers, artists, poets gathered together in San Francisco. Recently awarded the John Cage award for 2012 from the Foundation of Contemporary Arts, Oliveros is Distinguished Research Professor of Music at Rensselaer Polytechnic Institute, Troy, NY, and Darius Milhaud Artist-in-Residence at Mills College. Oliveros has been as interested in finding new sounds as in finding new uses for old ones --her primary instrument is the accordion, an unexpected visitor perhaps to musical cutting edge, but one which she approaches in much the same way that a Zen musician might approach the Japanese shakuhachi. Pauline Oliveros' life as a composer, performer and humanitarian is about opening her own and others' sensibilities to the universe and facets of sounds. Since the 1960's she has influenced American music profoundly through her work with improvisation, meditation, electronic music, myth and ritual. Pauline Oliveros is the founder of "Deep Listening," which comes from her childhood fascination with sounds and from her works in concert music with composition, improvisation and electro-acoustics. Pauline Oliveros describes Deep Listening as a way of listening in every possible way to everything possible to hear no matter what you are doing. Such intense listening includes the sounds of daily life, of nature, of one's own thoughts as well as musical sounds. Deep Listening is my life practice," she explains, simply. Oliveros is founder of Deep Listening Institute, formerly Pauline Oliveros Foundation, now the Center For Deep Listening at Rensselaer. 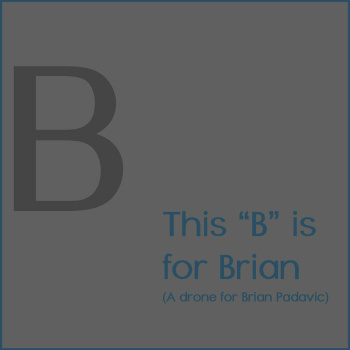 Brian Padavic is a composer, bassist, and music educator residing in Kansas City. The music he composes and performs covers a wide range of musical genres, from jazz to rock, contemporary chamber ensembles to avant garde improvisations, and American to European folk music. 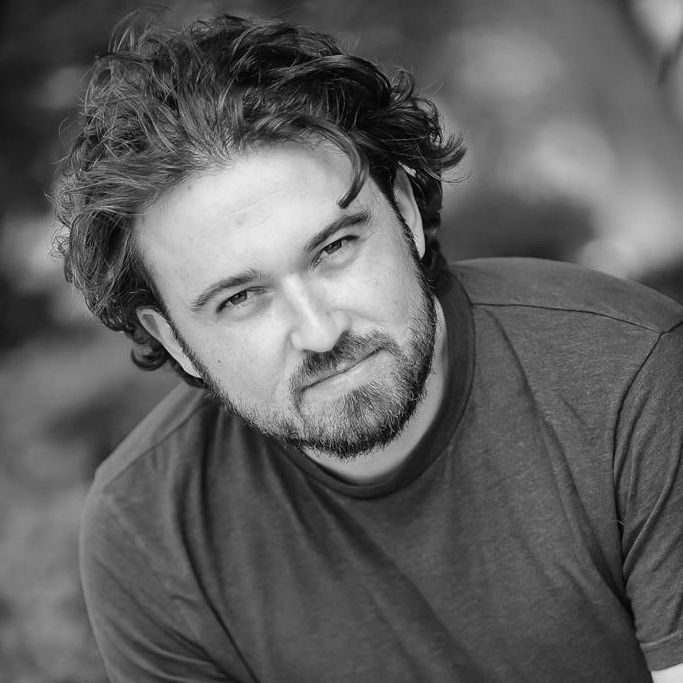 Padavic received his Master’s degree in composition from the University of Missouri-Kansas City in 2012, and also holds a Bachelor’s degree from Berklee College of Music in Boston, MA (2007). He taught four years in the Recording Arts Department at Johnson County Community College, performs frequently in the Kansas City metropolitan area, and constantly pursues events to showcase his music and the music of his improv group, The Ensemble of Irreproducible Outcomes. Padavic’s most recent ambitions led him to study in Paris, France, with legendary double bassist, François Rabbath, as the recipient of the Lighton International Artist Exchange Program and an Inspiration Grant from ArtsKC in the fall of 2014. At the 2015 KC Bass Workshop, he will be performing a small collection of pieces that he wrote while studying under François Rabbath. After a relatively short career as a mechanical engineer, Michael Pounds turned his energies toward composition, studying at Bowling Green State University, Ball State University, the University of Birmingham in England, and the University of Illinois, where he completed his doctorate. He studied electroacoustic composition with Jonty Harrison, Scott Wyatt, Guy Garnett, Cleve Scott, Jody Nagel, and Burton Beerman. His awards include the 1998 ASCAP/SEAMUS Student Commission Award, a Residence Prize at the 25th Bourges International Electroacoustic Music Competition, and a Rotary Foundation Ambassadorial Scholarship for studies in England. His music has been performed throughout the United States and in Canada, Mexico, England, Ireland, France, Spain, Austria, Korea, Australia and New Zealand. He was a co-host of the 2005 national conference of the Society for Electro-Acoustic Music in the U.S. (SEAMUS). 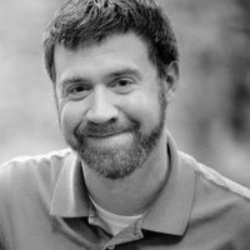 Michael is currently the Assistant Director of the Music Technology program at Ball State University, where he teaches courses in composition, acoustics, music perception, recording and computer music. Originally an orchestral French Horn player hailing from Indiana, M. Anthony Reimer has spentmost of the last 20 years freelancing in live theatre as a composer and sound designer.His work has been heard on stages and at festivals across the country and internationally.He completed his undergraduate work at Ball State University, received a Master'sin Computer Music and New Media from Northern Illinois University and is currentlypursuing a doctorate in Music Composition at the University of Illinois. Gyan Riley (born 1977) is an American guitarist and composer. 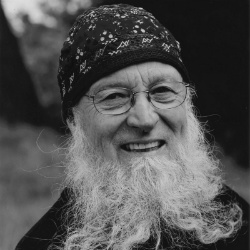 He is a son of minimalist composer Terry Riley. They frequently collaborate, including a tour in Europe in September 2016. Gyan Riley studied at San Francisco Conservatory of Music. He released his solo album Stream of Gratitude in 2013 on John Zorn's Tzadik Records. He also performed with Zakir Hussain, Dawn Upshaw, San Francisco Symphony among others. In 2015, he released Nayive Eviyan, a collaboration with Czech violinist Iva Bittová. Paul Rudy (b. 1962) is a Rome Prize (2010), Guggenheim (2008), Fulbright (1997) and Wurlitzer Foundation (2007 and 2009) Fellow. 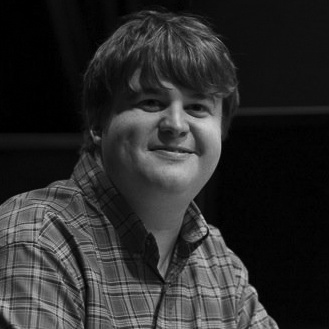 He has won the Sounds Electric ’07 Competition (1st Prize), EMS Prize (Sweden, 1st Prize), Citta di Udine (Prize ex aequo), and has received recognition and commissions from IMEB, Bourges (2008 commission), SEAMUS, Meet the Composer, the American Composer’s Forum, SCI, National Music Teacher’s Association. He teaches at the University of Missouri-Kansas City Conservatory where he received the 2008 Kauffman Award for Artistic Excellence. In 1994 he completed the Colorado Grand Slam after climbing all 54 of Colorado's 14,000 ft. peaks. Rudy’s CD Series 2012 Stories is available online at iTunes. Elena Ruehr says of her music “the idea is that the surface be simple, the structure complex.” An award winning faculty member at MIT, she has also been a Guggenheim Fellow, a fellow at Harvard’s Radcliffe Institute and composer-in-residence with the Boston Modern Orchestra Project, which performed and recorded her major orchestral works (O’Keeffe Images, BMOP Sound) as well as the opera Toussaint Before the Spirits (Arsis Records). Three of her six string quartets were commissioned by the Cypress String Quartet, who have recorded How She Danced: String Quartets of Elena Ruehr. Her quartets have also been performed by the Biava, Borromeo, Lark, ROCO and Shanghai string quartets. Her other recordings include Averno (Avie with the Trinity Choir, Julian Wachner, conducting), Jane Wang considers the Dragonfly (Albany), Lift (Avie) and Shimmer (Metamorphosen Chamber Ensemble on Albany). I studied music with Larry Wallach and Thom Lipiczky at Simon’s Rock from 1974 to 1978, graduating with a BA. During this time, I studied classical guitar with Edward Flower. In the fall of 1978, I moved to New York City, where I spent the next ten years, during which I focused on playing electric guitar (and for a while, Chapman Stick). While in NYC, I co-led and wrote for a band called People Falling, played (and wrote a couple of things) in Bill Obrecht’s group La Guapa Papa, and performed and recorded with several Downtown composers, notably Lois V Vierk, Scott Johnson, and Guy Klucevsek. I gave the the premiere performances and made the first recording of Vierk’s piece “Go Guitars” for five microtonal electric guitars, and also participated in the premier recording of her ensemble piece “Red Shift”. Along the way, I performed in a number of venues, including CBGB, Danceteria, The Kitchen, Alice Tully Hall, Dance Theater Workshop, the Walker Art Museum (Minneapolis), the Styrian Autumn festival (Graz, Austria), the American School (Paris), and the New Music America festival (Los Angeles). I left NYC in 1988, moving first to update New York then to southwestern New Hampshire, where I remain. Around 2004, I started writing and recording electronic music using Csound, with a focus on drone music and just intonation. I also moved from guitar to bass, playing with local free improv band Sisters and Brothers. I started performing live electronic music in 2006. Milky Way or Galaxy are traditional Korean translations of the first name of flutist Meerenai Shim Pronounced “me-ren-ay,” the unusual name befits this unique and forward thinking musician. Meerenai is a founding member of the innovative flute and percussion duo, A/B Duo. In 2016, she joined the award-winning contemporary flute ensemble, Areon Flutes. She is also one half of the newly formed contrabass flute and contraforte duo, Keyed Kontraptions. She has performed all over the United States as a soloist and chamber musician. Recent performances include the Soundwave Biennial in San Francisco, the Bang on a Can Summer Festival, the National Flute Association’s Annual Conventions, and numerous universities. In addition to regular broadcast of her recordings on classical radio stations, Meerenai's recordings and performances have been featured on Music from Other Minds, Live from WFMT, and New Music Box. In 2015 Meerenai founded Aerocade Music, a record label specializing in contemporary classical, electronic, and experimental music. Her third solo album, the all-electroacoustic Pheromone, is the first release on the label. Regarding Pheromone, Fanfare Magazine says, "Flautist Meerenai Shim has the chops and the heart to do these recently composed pieces full justice, and this inaugural release on her own Aerocade label is the proverbial proof of the pudding." After a practice-related injury almost derailed her flute career, Meerenai started studying the Alexander Technique, body mapping, and the Feldenkrais Method. She now teaches musicians how to play better by improving their movement. Her pedagogical philosophy of using the principles of the Feldenkrais Method in flute study can be seen in her book, Scale Studies for Beginner and Intermediate Flutists. She is currently training to become a Feldenkrais Practitioner. Ever adventurous, Meerenai has never been afraid to learn new things. Whether it’s picking up the tenor banjo to play an informal concert at the Aspen Music Festival where she was conducting student, or trying her hand at producing an independent film, she has always been willing to rise to the occasion and learn new things. 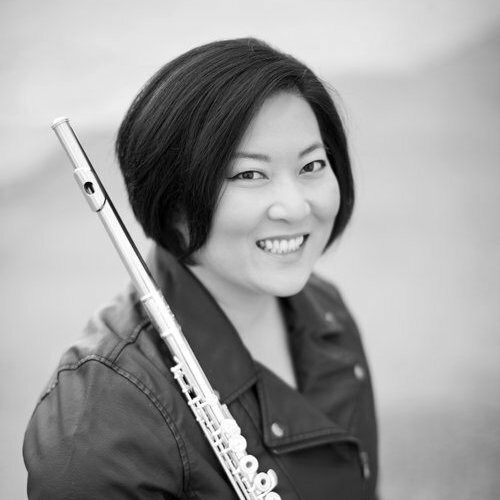 Between receiving her Bachelor of Music in flute performance from DePaul University and the Master of Music in flute performance from San Francisco State University, Meerenai worked in the Information Technology field and in Management Consulting. All of her past experiences and can-do attitude naturally led her to seeking out new repertoire and contemporary music. 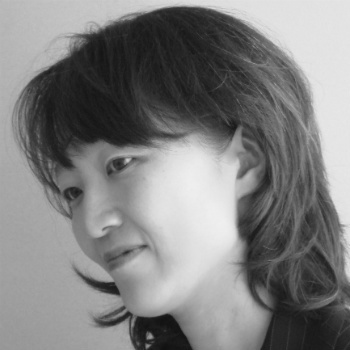 As a part of A/B Duo, and on her own, Meerenai has commissioned new works from numerous composers including Daniel Felsenfeld, Andrea La Rose, Isaac Schankler, and Ken Ueno. Her frequent collaborator Matthew Joseph Payne has written Meerenai a few pieces with accompaniment by Gameboy or other circuit-bent instruments. She enjoyed playing in Matthew Joseph Payne's chiptune band The Mineral Kingdom and is constantly thinking of starting or joining a punk band as a drummer. Meerenai Shim is a fiscally-sponsored affiliate of InterMusic SF, a not-for-profit organization dedicated to small-ensemble music in the San Francisco Bay Area. She resides in Silicon Valley with her husband Dave, and their Great Dane mix, Lady. She was the recipient of the Friends of Canadian Music Award in 2001. Christine Southworth (b. 1978) is a composer and video artist based in Lexington, Massachusetts, dedicated to creating art born from a cross-pollination of sonic and visual ideas. Inspired by intersections of technology and art, nature and machines, and musics from cultures around the world, her music employs sounds from man and nature, from Van de Graaff Generators to honeybees, Balinese gamelan to seismic data from volcanoes. Southworth received a B.S. from MIT in 2002 in mathematics and an M.A. in Computer Music & Multimedia Composition from Brown University in 2006. In 2003 she co-founded Ensemble Robot, a collaborative of artists and engineers that design and build musical robots. She is the general manager of the MIT-based Gamelan Galak Tika, and has composed several pieces for the group and performed at venues including Lincoln Center, Carnegie Hall, EMPAC, the Cleveland Museum of Art, several Bang on a Can Marathons, and the Bali International Arts Festival. In 2010, she helped design Gamelan Elektrika for her piece Supercollider, which was premiered at Lincoln Center Out of Doors Festival with the Kronos Quartet. In addition to gamelan, she studies bagpipe, playing both the Galician Gaita and the Great Highland Bagpipe. Southworth's compositions have been performed throughout the U.S., Europe, and Indonesia by ensembles including Kronos Quartet, Gamelan Galak Tika, Calder Quartet, Bang on a Can All-Stars, Gamelan Semara Ratih, California EAR Unit, Andrew W.K., and Ensemble Robot. She has received awards from the American Music Center, UCross Foundation, LEF Foundation, American Composers Forum, Meet the Composer, New England Foundation for the Arts (NEFA), the MIT Eloranta Fellowship, and Bang on a Can and has been a fellow at UCross Foundation and The Hermitage Artist Retreat. She has four recordings available on Airplane Ears Music: Zap! (2008) and Gamelan Galak Tika: Bronze Age Space Age (2009), Christine Southworth String Quartets (2013), performed by The Calder Quartet, Kronos Quartet, Gamelan Galak Tika, and Face the Music, with support from the American Music Center CAP Recording Grant, and In My Mind and In My Car (2013), for Evan Ziporyn on bass clarinet, electronics and video. Stuart currently performs with fellow percussionists Tim Feeney and Sarah Hennies in the percussion trio, Meridian, and with computer musician Joe Panzner. Other recent collaborations include projects with Ryoko Akama, Erik Carlson, Antoine Beuger, Eva-Maria Houben, Jürg Frey, Kunsu Shim, Bonnie Jones, Phillip Bush, Nomi Epstein, Speak Percussion, and the International Contemporary Ensemble. He has appeared as a featured performer at numerous festivals and notable venues presenting experimental music including MaerzMusik (Berlin), the Melbourne Festival, Café Oto (London), Arnolfini Centre for Contemporary Arts (Bristol), Cha’ak’ab Paaxil (Mérida), Issue Project Room (New York), REDCAT (Los Angeles), Big Ears (Knoxville), Elastic Arts Foundation (Chicago), New Music Co-Op (Austin), Philadelphia Sound Forum, and Non-Event (Boston) among others. He has recorded for numerous labels, including Edition Wandelweiser, Gravity Wave, Erstwhile, Cathnor, New World Records, Accidie, L’innomable, caduc, Lengua de Lava, Crisis, and Senufo Editions. 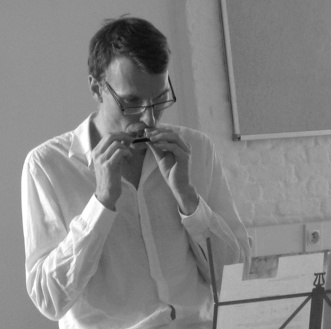 Philip Thomas (b.1972, North Devon) specialises in performing new and experimental music, including both notated and improvised music. He has commissioned new works from a number of British composers whose ideas, language and aesthetic have been informed in some ways by the aforementioned American composers, such as Stephen Chase, Laurence Crane, Richard Emsley, Michael Finnissy, Christopher Fox, Bryn Harrison, John Lely, Tim Parkinson, Michael Parsons, and James Saunders. After significant encounters with the music of AMM and Sheffield-based musicians Martin Archer, Mick Beck and John Jasnoch, Philip has worked with improvisers in a variety of contexts and in 2005 devised a programme of composed music by musicians more normally known as improvisers as well as others who have been influenced by improvisation in some form. This led to his first CD release, Comprovisation, which featured newly commissioned works by Mick Beck, Chris Burn and Simon H Fell. 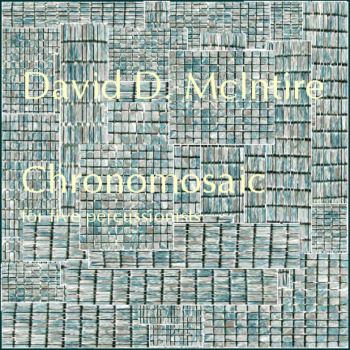 Since then he has released many more CDs, including music by Martin Arnold, John Cage, Laurence Crane, Christopher Fox, Jürg Frey, Bryn Harrison, Tim Parkinson, Michael Pisaro, James Saunders, Linda Smith, Christian Wolff, as well as with improvisers Chris Burn and Simon H Fell. 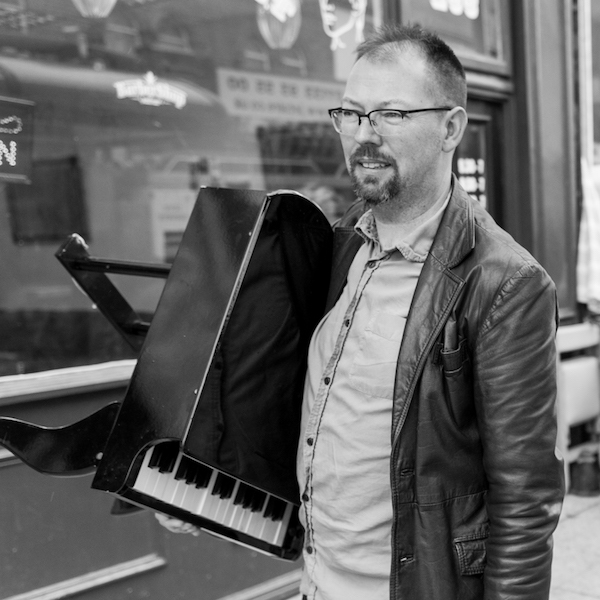 Philip is a regular pianist with leading experimental music group Apartment House, with whom he has performed in festivals across the UK and Europe. In recent years he has performed and recorded with Quatuor Bozzini, Ensemble Grizzana, and pianist Mark Knoop. He has also performed with pianists Catherine Laws, Ian Pace and John Tilbury, as a trio with flutist Richard Craig and percussionist Damien Harron, and with composer James Saunders (electronics). He performed with the Merce Cunningham Dance Company during their farewell tour in 2010-11. 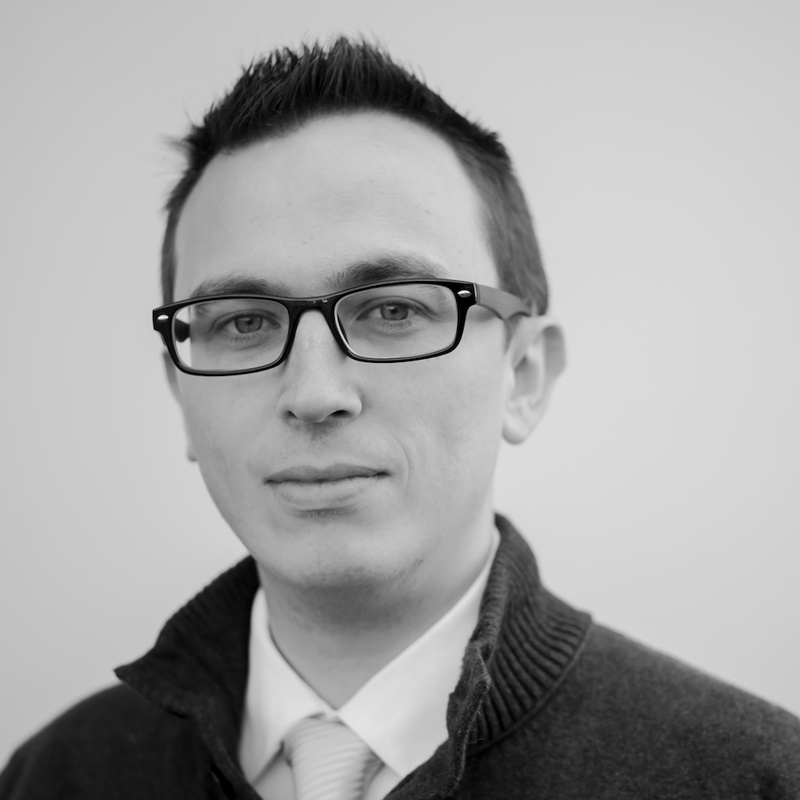 In 1998 Philip was awarded a PhD from Sheffield University in the performance practice of contemporary piano music. Between 2000 and 2005, he was Head of the Sheffield Music School whilst pursuing an active performing and teaching career. 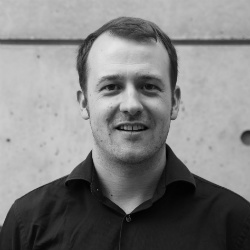 He joined the staff team at the University of Huddersfield in 2005, and became Professor of Performance in 2015. Philip is one of the Directors of CeReNeM, the University’s Centre for Research in New Music. In 2016 he was awarded an AHRC grant to fund research about John Cage’s Concert for Piano and Orchestra, details of which can be found here. He lives in Sheffield, where he premieres the majority of his programmes, with his wife Tiffany and children Naomi and Jack. Oregon composer, sound artist, and designer Scott Unrein shapes time using sound. Scott creates work that is permeated by sonic geography and perception of time; collaborative projects between disciplines, theatre, electro-acoustic works and works for instruments. His work is presented across the United States and has also been performed in Europe, South America, Russia and Japan. He lives near Portland, Oregon with his clever partner, a small army of children, and two cats. Manfred Werder focuses on possibilities of rendering the practices regarding composition and field. His recent scores have featured either found sentences from poetry and philosophy, or found words from whatever sources. His performances, both indoors and outdoors, aim at letting appear the world’s natural abundance. Earlier works include stück 1998, a 4000 page score whose nonrecurring and intermittent performative realization has been ongoing since December 1997.